Blogging is just one part of your business, but it is the best part for me! I love blogging, it isn’t easy, there is a lot of hard work that you don’t see! But for me, when I learned how to make money from your blog, it was the transition I was looking for! I knew that making money was possible, I just needed to learn the how! What is important to realize is that these income streams can and will change, what works one year, doesn’t mean that it will work forever! Learning how to make money from your blog is something that you will grow and develop the more you understand about your audience! Understanding the importance of having a plan and knowing what direction you want to head in, will help you develop the right strategies that will take your business to the next level! In the beginning, you will struggle with the direction you want to take because there is a lot to learn, but once you have your basic understanding of blogging you really do need to take the time to plan the direction of your business! 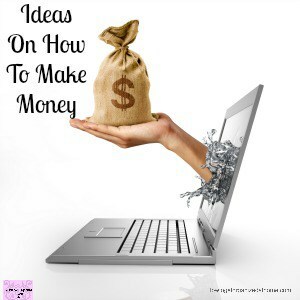 There are a lot of options for making money with your blog! Having adverts on your site is a great way to make a passive income! There are a number of options to choose from, the first option would be to look at Adsense and then from there as your page views increase, so too does your options! I’m in love with Mediavine, they take care of all my adverts! Affiliate marketing is a great way to make a passive income from your blog! Being authentic is important, and only choose items that you would use! There are a lot of options here, from Ultimate Bundles to working with companies that provide affiliate programs like CJ and Amazon! Sponsored posts are a great way to make money blogging, these are posts that businesses are supporting either with products and/or monetary compensation! You can deal directly with brands or you can work with companies like Izea or Massive Sway! Being an entrepreneur, you have to look at all angles of your business. Your blog is just one part of the bigger picture! You must look at all the possibilities that you can make money, it isn’t going to stop with your blog! I think the time has passed when all you needed to succeed was a blog! 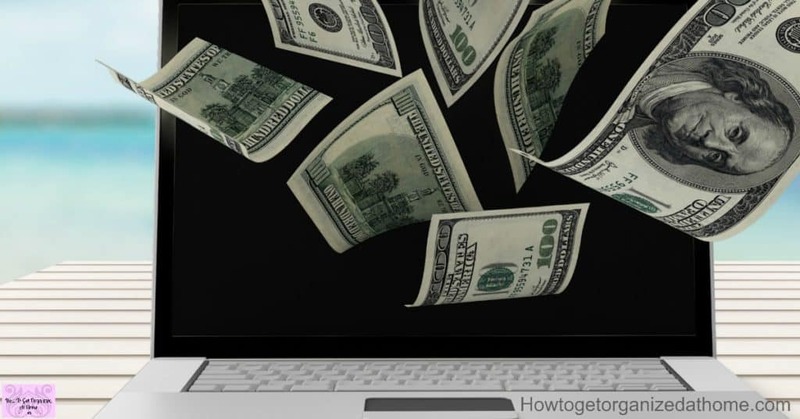 Yes, there is still money to be made in the blogging world, but it isn’t easy! There is a lot of hard work and dedication needed to succeed in the blogging world! Many blogs die around the 6-month mark when people realize how much work goes into making a successful blog! Often, in the beginning for very little income at all! You will need to pay bills probably before you even see any sort of income! Hosting, if you want to earn money with adverts and to grow a successful blog you will need hosting! While there are some really cheap options out there, be warned you get what you pay for! I recommend Black Chicken Hosting, I have been with them for a couple of years and they really are awesome! You will need to pay for your domain name and your HTTPS certificate too! You must have an SSL certificate if you have any type of form on your blog! Many people really don’t understand how bloggers make money! It’s really not that difficult to understand, you need to sell things to your audience, things they want to buy! Understanding your reader is important, learning what they like and what they want is important! The most important tool you will need to use is Google Analytics. You need this installed on your blog and this lets you track a lot of data! The data that you get from Google Analytics will tell you so much about your audience, you can start to build a picture of your ideal reader! You then need to make products that your reader wants or use affiliate links to items that you know your reader will love! It would be nice if you could make enough money through your blog to support you, however, those days are behind us and in reality, you do need to do other things to make a full-time income! 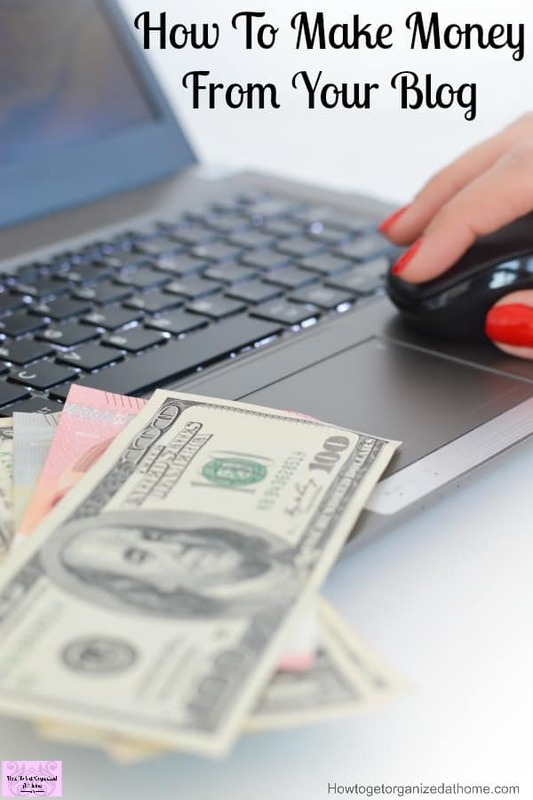 It is hard for many people to understand, you provide information for free in most parts, but this doesn’t pay the bills and so somewhere you have to make the decision that you need an income from your blog to keep it as a long-term option! You have to find a way to fund your blogging habit, it is addictive and it is a lot of hard work! One option is to teach what you know! However, there are a lot of courses available that are designed for teaching blogging to wannabe bloggers! I think finding something that you are good at, a focused niche area is still an option, just not a course that covers the whole thing! Elite Blog Academy, I think this was one of my favourite courses, you get a lifetime access to the course and over the years it has grown and changed too! It has turned into one of the best courses I know! However, there are limitations, it does go over a lot of detail but some areas you do have to find other courses to back up the information! Affiliate Marketing For Bloggers: The Master Course. This is an amazing cause taught by Tasha Agruso, the owner of Designer Trapped in a Lawyer’s Body! She is amazing and makes a lot of money on affiliate marketing. She teaches the best ways to make money with affiliate sales that will fit your blog! As not every niche is easy to add affiliate links into! If you want to reach out to brands, learning how to do this right is important! Jenny Melrose has a great course Pitch Perfect Pro, here she teaches you how to reach out to brands to get them to pay for amazing sponsored posts! One area that you really need to grow and nurture is your email list! Whilst, everyone is always talking about social media and how big your reach is there! What is important is looking at and nurturing your email list! Your email list is your VIP’s, they are the ones that have read your content and love what you write, you have to build your relationship up with these people! When you write to them remember that they are important and you must be giving them something to show that you appreciate their time and commitment to you! There are a lot of email providers that you can choose from, they all have good and bad points. You have to find one that you like and does what you need in the price bracket that you can afford! I really recommend Convertkit as an amazing email provider, they have taken my emails to the next level and I think they are easy to use! If you want to make blogging as a career choice, be warned, it isn’t the easiest of jobs but I think it is one of the most rewarding jobs around. Yes, it is long hours, in the beginning, you might actually wonder why you put so many hours in with little in return, but as you learn more, it does become easier! You do have to understand the time that is involved in running a blog, it is a commitment and often you won’t see a return on investment for a while! However, it is the best job I have ever had and I love every single moment! Want more information on blogging? Nice blog you have here, and this post has some good tips. I will check out blogpreneur when I get the chance. Thank you! You will love Blogpreneur I am sure! Thank you so much 🙂 Thanks for visiting! Keep sharing your knowledge with us.